Passing the Blame on General Motors Lordstown Plant Discussed on America’s Work Force. 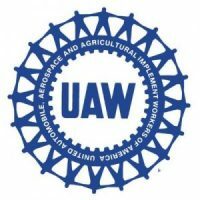 On March 21, Josh Nassar, legislative director from the United Auto Workers, joined America’s Work Force to talk about people pointing fingers at each other and blaming one another for the shutdown of the Lordstown plant. Nassar talked about President Trump calling out the UAW President Dave Green, telling him to “quit complaining” and go do something about bringing work back to the Lordstown plant. Nassar also said that Trump blamed union dues being too high and that is why the plant went out of business, even though union dues are paid by the members, not the company. He then went on to talk about the new NAFTA deal, United States-Mexico-Canada Trade Agreement, and how they are fighting to make sure worker rights are protected in the new trade agreement. 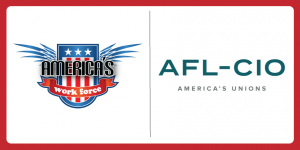 Bill Samuel, government affairs director with the AFL-CIO spoke with AWF on March 21 about the USMCA also. Samuel said that AFL-CIO president, Richard Trumka, is fighting hard to ensure that workers are protected in the new agreement. He then discussed the General Motors debacle and how GM had been hedging with stock buybacks, rather than investing into the company and its employees. Lastly, Samuel talked about Protect the Right to Organize (PRO) Act. Under the PRO act, there will be no more So-Called “Right-to-Work” in any states, sanctions for companies so they do not violate worker rights to organize, monetary penalties for executives who violate worker rights with illegal firings, and much more. This entry was posted in Uncategorized and tagged AFL-CIO, America's Work Force Radio, AWF, Bill Samuel, Ed "Flash" Ferenc, General Motors, GM Lordstown, Josh Nassar, President Trump, UAW, United Auto Workers by awfblog. Bookmark the permalink.